On 9 November 2016, Croydon Tramlink Tram 2551 reached its maximum permitted speed of 80 km/h as it entered the first of three closely spaced tunnels. The tram should have reduced its speed to 20 km/h as it approached the sharp curve round to Sandilands Junction. However, it didn’t. The tram overturned and slid along the adjacent gravel. Seven people died and 61 were injured. When major accidents occur there is a visceral response and a demand for more to be done. But how can we turn this energy into beneficial action? The first priority is to understand what went wrong, and to implement appropriate measures. Following Sandilands, rapid action was undertaken to improve speed warning signs and to fit a monitoring system to detect when drivers were fatigued. Beyond immediate fixes, confidence is needed in the underlying safety management. Major accidents serve as a warning for all parties to review their arrangements. But there is also potential for a kneejerk reaction and poor decisions. The answer to this dilemma is to allow decision-makers to reduce risk efficiently and effectively by understanding the risks and acting in a ‘risk-based’ way. When decisions need to be made on the basis of future uncertain events, subjectivity is introduced. And when that subjectivity relates to events with legal implications, confidence in decisions becomes more difficult for those with accountability. After an accident, maintaining a dispassionate, objective view is difficult. There are certain traps we fall into. One is “hindsight bias” – the inclination to see past events, such as accidents, as more predictable than they really were. This can drive a blame culture – the very antithesis of good safety management, which is based on open learning. The other is “narrow framing” – people’s tendency to view problems in isolation, rather than taking a broader view. Transport systems have to deal with a whole range of issues and a portfolio of risks, and if one particular issue is focused on disproportionately, this results in sub-optimal outcomes. Focusing on single accidents as the justification for strategic decision-making is likely to be flawed. So how do we deliver a rational, risk-based approach to safety management? The UK railway industry in the late 90s and early 2000s provides a case study. The period is marked by a number of fatal rail accidents including the collision of two passenger trains following a signal being passed at danger that led to 31 deaths and many injuries at Ladbroke Grove. This was a watershed moment. There is an inevitable loss of public trust when a major accident happens. In the case of the Ladbroke Grove railway accident, the holding of the independent public inquiry by Lord Cullen was a key action to regain that trust. To support robust learning and ensure that the right questions are asked, independent expert views and strong governance are important, and this is not just the case in the aftermath of an accident. There is always a place for such a role. This was recognised in the Cullen report, which included recommendations for a suitably authoritative “system authority”, central assurance of contractors to the railway and ultimately the setting up of an independent safety and standards body. The structures were there to provide the assurance that safety management activity was effective and compliant. However, what is ultimately sought is a strengthened safety culture and this requires an environment whereby there is effective challenge, internal to the industry. So was the approach that was put in place a success? Well, figures show that safety performance of the UK rail network has significantly improved. It is now more than 11 years since a fatality occurred, and the UK has the safest major rail network in Europe. 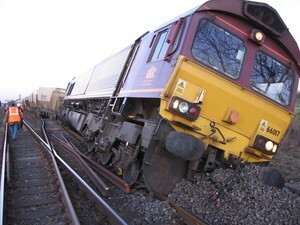 It is false to allege that UK railway companies don’t manage safety effectively. The culture in the industry is an open one that supports learning and in my experience is not at all one of complacency. This culture of continuous improvement has led to significant drives to push harder, not just on safety, but also on health too, with the publication of the cross-industry health and safety strategy. 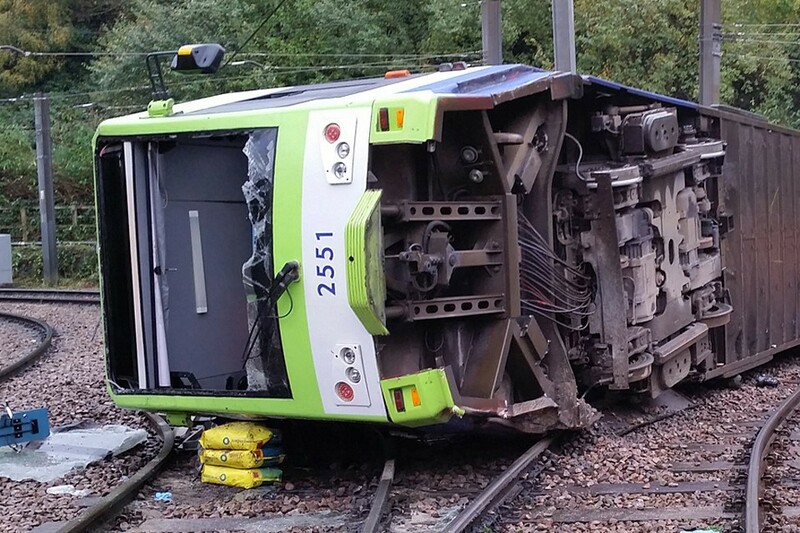 So what does this mean for the tram sector in Britain, following the Sandilands accident? 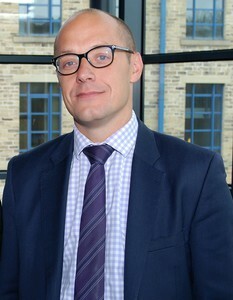 Initial work has been undertaken to deal with local issues and with the support of the sector body UK Tram, there have been efforts to share and learn more widely across the sector. I would suggest that the sector needs to work closely with its regulator, funders and others to be clear about their shared approach to risk management. It needs to be effective and to stand up to scrutiny. In particular, clear criteria for safety investment are needed. To support this, good quality risk information is also vital. Initially, a pragmatic approach can be undertaken using the judgement of experts, but the sector needs a long-term strategy for collecting data that it can be pooled to support systemic learning and make the case for investment. Again, the experience of the overground sector suggests the need for the tram sector to continuously seek to improve collaboration on safety issues, and share information and learning. This approach can be uncomfortable but it is a key part of work to drive improvements in safety culture.